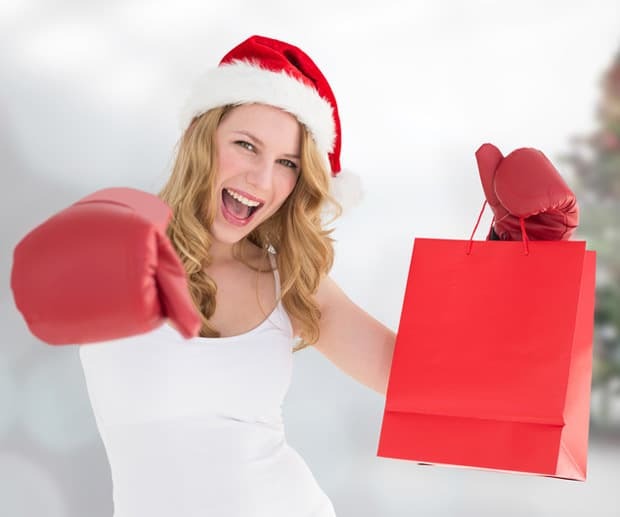 Elbows out, game face on, it’s that time of year again when Aussies flock to their local shopping centres to bag a bargain - it’s the 2014 Boxing Day sales! This year shoppers are expected to spend a whopping $2.072 billion in just one day, according to the Australian Retailers Association. That’s an increase of $72 million from last year. But ensuring you grab a knockout deal isn’t as simple as rocking up on the day, sometimes it takes planning to ensure you make the most out of the aggressive discounting on offer. Before hitting the shops make a list of the items you actually need e.g new socks for the kids, beach towels for your next holiday and new linen because the old ones are, well, old. Do you have a handful of birthdays coming up? Now’s the perfect time to plan ahead and purchase all those gifts at a slashed price. You may also want to consider stocking up on Christmas wrapping and decorations before prices hike up later in the year. Many retailers post their sales online the day before Boxing Day. So search the net on Christmas Day to see which stores offer the best bargains and should be targeted the next day. While you’re hunting for top deals, make sure you print out any bargains to show in store, as most major stores offer price matching. There’s nothing more annoying than trekking down to your local shopping centre, only to find it's closed. So make sure you check if it's actually open on Boxing Day before leaving the house. They will slow you down. So if a family member offers to babysit while you’re at the shops, say yes! First in best dressed definitely applies to the Boxing Day sales because the only thing late arrivers are likely to find is odd sizes. Once you’re at your local mall, don’t get sucked into the Boxing Day buying frenzy. Do you really need another scented candle, just because it is now half price? If you answered “no” keep on moving and stick to the items on your shopping list. Remember you’re like an athlete on a mission to find the best bargains for you and your family, so bring water and snacks with you so you can maintain your stamina. It’s also a wise idea to wear runners, so you zip through the shopping centre as quickly as possible. If you were given gift cards this Christmas, then the Boxing Day sales is the perfect time to cash in, before you forget you have the cards all together and they sit idly in your wallet and end up expiring. You can avoid the hustle and bustle of Boxing Day sales completely by simply shopping online at westfield.com.au from the comfort of your home - too easy! Online only stores like ASOS and THE ICONIC also offer jaw-dropping markdowns on Boxing Day.